PAS Shah Alam MP Khalid Samad turned up in Merlimau by-election campaign. He was one of the speakers of PAS political talk which was held last night at Jalan Batu Gajah, Merlimau. 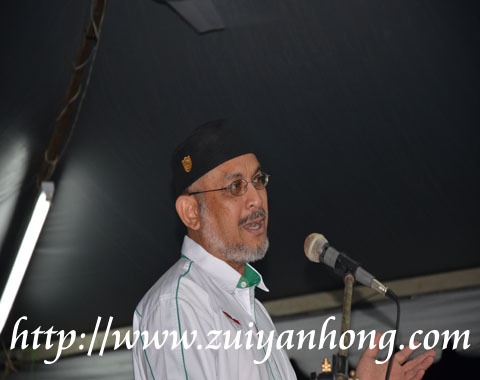 Khalid Samad sincerely advised Merlimau people to be alert with the recent global changes. He mentioned that the Jasmine Revolution which has swept through the North Africa is a significance example. He repeatedly reminded the audience to spread the wind of change to all Malaysian.